Cockroach Control Penrith... Cockroaches - in particular German Cockroaches are dangerous for their unhygienic presence in foodstuffs and supplies. German cockroaches infest and infect sterile environments with their excrement meaning dangerous consequences for humans. Matthew Lynch Pest Control’s professional exterminators can ensure your Penrith home or workplace is free of cockroaches in no time at all thanks to our affordable, tailored cockroach extermination methods. 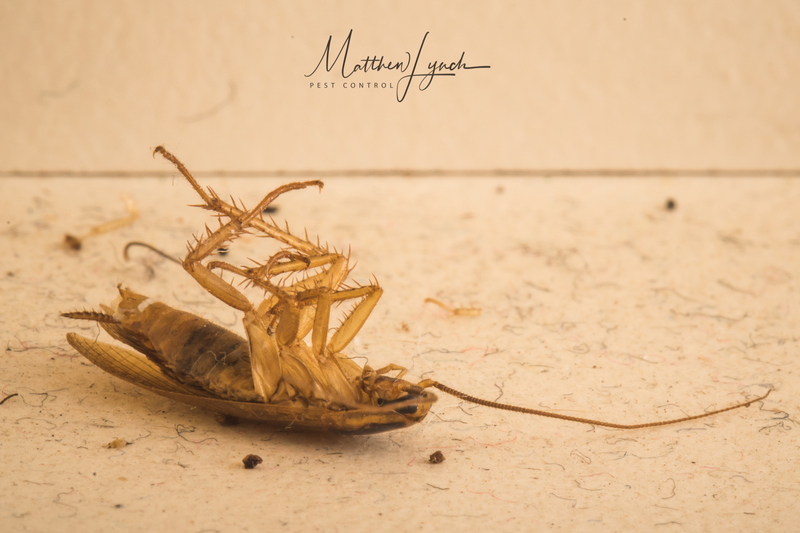 If you’ve discovered or suspect an infestation of cockroaches, call the experts in cockroach control and extermination at Matthew Lynch Pest Control. Our professional pest removal services mean you no longer have to live with the threat of cockroaches destroying your hygiene standards or infecting your loved ones. Affordable Cockroach Control Penrith residents trusts. Operating across Penrith and surrounding areas, Matthew Lynch Pest Control is the leading cockroach control and pest removal company. Offering competitive prices on a range of cockroach and other pest removal services, our efficient processes can have your property cleansed in no time! Call Matthew Lynch Pest Control today on 0406 679 538 for effective and proven cockroach control service at your Penrith property, and protect yourself from harmful interaction with these pests. Today we attended a home in Penrith to carry out a Pest Control treatment for German Cockroaches. The client had previously had the home treated, but unfortunately the German Cockroaches had not been successfully eradicated. This is something that we hear far too often. When treating German Cockroaches there are several things that must be done in order for the treatment to be 100% completely effective. Firstly - Locating your target. Each and every room must be thoroughly inspected to identify all nests and harborages. Once they are located then treatment is applied to those areas. You must treat the entire house. There's no point only treating the kitchen and or the bathroom. These nasty pests have an extremely short life cycle, and if they are not all located and treated, you will find yourself re-infested within a matter of weeks. Secondly - The right tool for the job. You must ensure that the product used is designed to target the pest at hand. You can't just apply a general broad spectrum pesticide in the hope that you'll hit your target. German Cockroaches are an extremely resilient pest. And as a result products have been specifically designed for the control of German Cockroaches alone. They also harbor in areas that aren't typically treated during your standard routine pest control service. Placing the right product in the right place will dramatically increase your chances of successfully eradicating this nuisance pest from your home. Finally - Follow up treatment. Occasionally you may find some German Cockroaches still alive after the initial treatment has run its course. In these instances it is imperative that a follow up treatment be carried out before the remaining cockroaches have the chance to lay more eggs. This ensures we are able to break the breeding cycle and completely eradicate these pests from your home. Following these three steps will guarantee 100% eradication.